Essiac tea is a healing herbal tea originally created by Rene Caisse. This natural remedy has been used to treat cancer, tumors, and cysts. It has also be used to treat other chronic health problems like fibromyalgia and strengthen the immune system. Renee Caisse was a nurse in Canada that created the formula for this healing tea. After her death, the formula continues to be used. The name, "Essiac" is her last name, spelled backwards. Can an Herbal Tea Really Cure a Serious Disease? 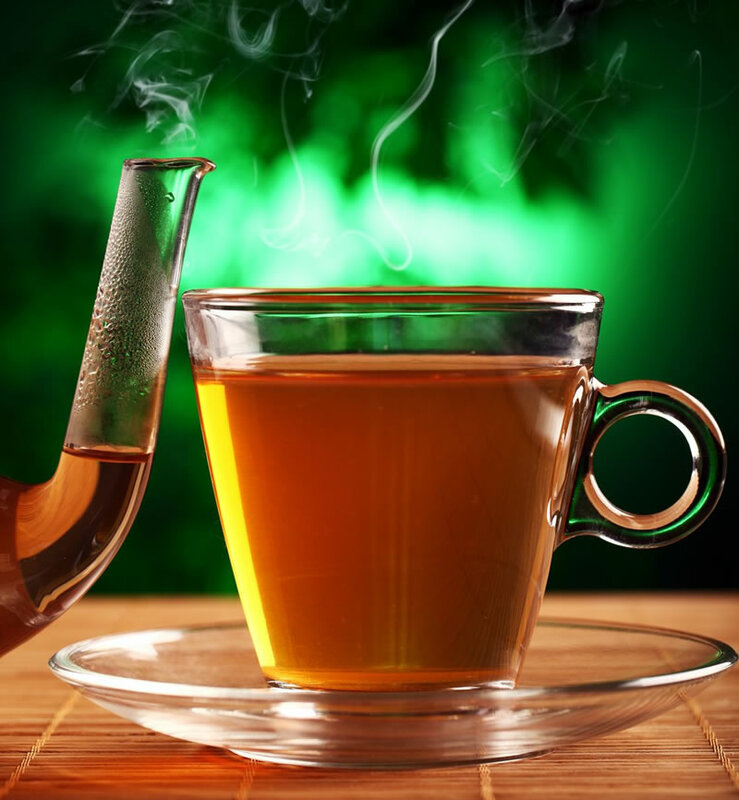 Skeptics may scoff at the idea that a tea could actually cure a chronic or terminal disease. Can plant matter and water can cure what expensive chemicals cannot? Indeed, many turn to the Essiac remedy after they have been given no more hope from the medical community. Plants have chemical components. Many of them. Modern drugs are also made up of chemicals, usually synthetic ones. Most people realize that certain plants are poisonous and can even kill a person or a pet. Deadly nightshade and hemlock are commonly recognized poisonous plants. If a plant has components strong enough to cause death, is is not reasonable to believe that a plant has components that can bring healing as well? What Herbs are in Essiac Tea? The original four herb recipe includes four herbs: burdock root, slippery elm bark, turkey rhubarb, and sheep sorrel. Burdock root is used as a food in some cultures. This herb has blood purifying properties. It is mild tasting. It has been used to treat a variety of diseases, including acne, rheumatism, sciatica, fibroids, edema, lymphatic congestion, and diabetes. Burdock root is also used in preparations for topic use to treat burns, rashes and poison ivy. When used internally, it is usually used over a course of many months to bring complete healing. Sheep sorrel is a common weed that most who see will consider a nuisance. However, this abundant "weed" has abundant healing within. It has been used traditionally to treat cancer, vitamin C deficiency, diarrhea, and inflammation. Sheep sorrel is also used topically for eczema and rashes. Slippery elm is a bark that is used to treat a variety of ills. It is a very nutritious herb and can be used as a healing food for the very sick or elderly. Slippery elm has a history of use topically for wound healing and burns. Internally it is used for disease that need some sort of soothing - sore throats, ulcers, colitis, gastritis, and Crohn's disease. The bark from the slippery elm is what is used as medicine. It has mucilage properties, making it slippery when mixed with water. This is what makes it soothing to the lining of the digestive tract and the throat. Turkey rhubarb is the herb in Essiac of which there is the least. Turkey rhubarb has a stimulating laxative effect. It is common in herb formulas for constipation, bowel cleansing, and parasites. This herb is classified as a bitter and has tannins in it, which have astringent properties. Turkey rhubarb is also used topically for some skin problems. Essiac tea can be found online or in some health food stores. Look for reputable companies and organic ingredients. Essiac tea can be purchased in many ways. Currently, Essaic can be found in a bulk tea form to prepare yourself at home. It can be purchased in capsules. It can be bought in bottles of ready made tea. The best way to buy Essiac is to buy an organic blend of Essiac, or buy each herb individually and mix it yourself. Making Essiac yourself will give you the assurance that is is the strength you desire. This will also be the least expensive option. Essiac capsules are relatively new on the market. Capsules were never part of the way Essiac was originally used. While convenient, there are many problems with the capsule form of Essiac. First of all, Essiac tea is boiled for ten minutes and then the herbs steeped for 12 hours. The boiling and steeping are critical for drawing out the needed herbal properties from the herbs. Your body never reaches even half the temperature of boiling to extract the properties from the herbs. Taking herbal capsules works well in some health conditions with some herbs, but teas will do the work of extracting for you and will do it better than your body will do. Barks and roots especially need to be boiled to maximize their medicinal value. Pre-bottled Essiac tea will be the most expensive option. If making the tea yourself is out of the question and you have a source for the bottled tea, then this may be a good option for you. Mix the herbs together. Keep them in an airtight container in a dark cabinet. Using a stainless steel or glass pot (not aluminum) bring 1 quart of distilled or spring water to a boil. Add 1 ounce of your dry Essiac blend. Cover and boil gently for 15 minutes. Remove from heat. Cover. Steep (no more heat added) for 12 hours. After 12 hours, reheat the tea mix, but do not boil it again. Strain out herbs with a stainless steel mesh strainer or cheesecloth. If some of the herb gets into the tea, that is fine. Pour into clean glass jars and cap tightly. Essiac can be sweetened with honey or raw sugar if desired. Do not add artificial sweetener to it. Essiac tea should be taken on an empty stomach. The risk of digestive upset increases if you take it on a full stomach. If taking it on an empty stomach is impossible, take it with a light meal or snack. Bedtime is a great time to take this tea. For general health, immune strengthening and detoxing 1/2 ounce of Essiac Tea is added to two ounces of warm water and taken once a day. For serious health conditions and cancers, 1 ounce of Essiac tea is added to two ounces of warm water and taken once a day. Essiac tea should be followed with a glass of water. Plenty of water is a good idea all day long to help the body to flush out toxins. If you notice undesirable side effects, decrease the amount of tea you take each day, or take a break from the tea. As wonderful as Essiac tea is, it is NOT for every person, every health problem, or even every cancer. Each person is an individual with diverse needs. If you have a serious health condition and you are considering using Essiac, please find a qualified health professional to help you monitor your health and help you to evaluate the effect that this natural remedy could have on your particular situation. Essiac is not recommended for pregnant women. Turkey rhubarb, having a laxative and stimulating effect could cause premature contractions. Essiac is not recommended for nursing mothers. The safety of it has not been evaluated on nursing mothers. Also, herb combinations that are designed to "detox" the body should not be used by breastfeeding mothers and the toxins can exit the body through breast milk and have a negative effect on the nursing child. Because of its oxalic acid content, Essiac may not be suitable for people with kidney disease. If you take over the counter or prescription medications, Essiac may not be appropriate for you. The slippery elm in Essiac can hinder the absorption of medication. Turkey rhubarb, another herb in Essiac can affect diuretic medications. Because Essiac can initially cause a tumor to swell, Essiac is not generally recommended for people with brain tumors. Even slight increases in brain tumor size can cause serious problems. If you decide to take Essiac tea, do not exceed the recommended dosages. More is not always better. A body usually takes time to get into a sick or compromised state. It is reasonable to allow the body time to heal in a slow and steady way. Essiac tea may cause side effects for some people. Because of its purgative effect, it may cause digestive distress, diarrhea or cramping. Because it detoxifies the body, it may cause a detox reaction which can include headache or nausea. If you have a serious health problem, the use of Essiac tea should be part of a holistic approach to the improvement of your health. Essiac tea is a great start to better health for many people, but the possibility of success is greater if it is part of a lifestyle approach to health. If you are dealing with serious illness, your body needs quality foods. Avoid processed foods, sugars, artificial sweeteners, MSG and fried foods. Eat a variety of whole foods. Drink plenty of water. Get some exercise and sunshine each day. Exercise will improve your mood and sweating helps with detox. Sunshine also helps with mood and the vitamin D is needed for health. Consider making healing baths part of your health routine. These baths can improve sleep and impart some extra healing. Have you tried Essiac tea? We would love to hear about your experience! This a question for the person Who used the essiac tea. I wanted to know how do you brew it specifically? Can the herbs be used again? When u let it cool do u warm it back up to drink it again? MIX INGREDIENTS THORUOGHLY IN DRY STATE. measure out 1 cup (8 ounces heaping) of the essiac mix, dry formula of the above. store the remainder of essiac dry mix in dark dry area. two gallons of distilled water in stainless steel kettle. bring water to a hard boil. put the 1 cup (8 ounces heaping) of the essiac mix into the boiling water. stir and boil hard 10 minutes. then turn off stove and let sit. scrape down sides of kettle so all essiac is under water. allow to sit for 12 hours. turn on high heat and heat essiac for 20 minutes. turn off stove. immediately pour the contents through a stainless strainer into a second stainless kettle. clean the first kettle thoroughly then strain contents a second time from pot two back into pot one. bottle the tea immediately into dark amber glass bottles and seal when hot. fill each bottle to the top so no oxygen can enter. tighten caps and let the bottled essiac cool to room temperature. retighten caps and store in refrigerator. heat two ounces (four tablespoons) of distilled water, then mix it with two ounces of essiac tea taken directly from the refrigerator. essiac should be taken at bed time on an empty stomach, at least two hours after eating. it can be taken in the morning on an empty stomach. if taken in the morning, do not eat for at least two hours after taking the essiac. keep the essiac refrigerated at all times. shake well each time before pouring. These instructions should work well with a gas burner stove, however, I personally would never make this recipe with an electric stove & certainly not a microwave. Also, store it in the fridge as far away from the fridges motor as possible. Even if you have to cook this tea on a grill, DO NOT USE ELECTRIC. Why are you not supposed to use an electric stove to make this tea? I used the 4 herb essiac tea when I was diagnosed with breast cancer. I took 2 ounces in 2 ounces of water, 3 to 4 times daily. I was told by my naturopath that all herb is not created equal. I remember when I first went to a health food store and bought it. It didn't smell like anything and I didn't know it was suppose to. It was kind of white like oatmeal. After finding my wonderful naturopath she told me where to buy the high quality herbs. I have to say when delivered I could smell it before I opened the box. It was 4 packets of measured herb in different amounts. Those 4 packets make 2 gallons of tea..enough for a month of treatment for a cancer patient. That may be why it didn't work for some. It was dead or old herb. It is a little bit of a pain to make the tea but the great results are worth it. I am told that a cancer patient should never use the capsules or concentrated tea but only the one you have to brew yourself. I started giving this tea to my children also and my teenage son had problems with sinus polyps from severe allergies I guess. One day after about a month of drinking the tea only twice a day, he sneezed out...I know this will gross some of you out...but he sneezed out 3 polyps. One was the size of a dime..yuck! This tea has been a Godsend for my family. Everything you need to know about Rene Caisse with live videos of her is found there. You will be very grateful that you did. I have friends who have been using this tea with great results. I live near Pearland. Who is your wonderful Naturopath? Also, have you used the liquid Essiac that is sold in a bottle? The ESSIAC tea works well for many forms of breast cancer. It is available via the Internet. I have used Essiac in conjunction with other protocols such as Haelan 951 which is a fermented soy and 35% food grade hydrogen peroxide. All of these are available on the Internet. Additionally, I have prescribed and used the Black Salve directly over breast cancer lesions. This is extremely painful and few people can tolerate this remedy. We have our patients take 60 mg of Oxycodone 90 minutes prior to the application of Black Salve and this reduces the burning by about 50%. In my case, it took a year to burn off a tumor 4" x 6 " I would not recommend this procedure without medical supervision to monitor the lesion. For further information, suggest you email me directly. My friend's mother was given 3 months to live with uterine cancer. I told my friend, who is a M.D. (internal medicine) to start her on essiac tea which she gladly did because she saw my great results...well her doctors in New York were amazed that her cancer began to disappear. My friend never mentioned that she was giving her mom the tea. She said it wouldn't be appreciated at all. Well the lady became the topic of several papers and grand rounds because the M.D's called it a "spontaneous remission." Her mom passed away 6 years later in her sleep at the age of 88 after having a fun night playing bridge with her quilting group. Needless to say my friend was so grateful for those extra years with her mom. Essiac Tea also cured several friends of mine from Cancer, and put them in remission. I tryed it on my 13 year old female collie (Lassie) as she has vistibular syndrome, and a brain tumor is suspected. Her hair was thining and lightened up to a apricot, despite the vitamines and KD diet she was on. So I put her on Essiac Tea, and some of the centeral vistibular symptoms vanished, her blind eye streightened right around and now she can see out of it, her thinning hair grew back in sable red, and became very thick, the way it was when she was young. She no longer appears to be dying, but it appears as if she has turned around she she has beat this "death gene!" Essiac has been known to cure a few other ailements such as ackne, skin problems, and diabetis. As far as exact measurements, you can google Essiac Tea to get them. The measurements acording to the weight of the person or animal are in the box, and on line. After reading Susan from Inland Empire's post, it reminded me of my step-dad, Walt, who passed away in 03 of brain cancer. Originally it started as prostate ('98) and then progressed to bone and then to brain. He had the prostate cancer for many years and managed to keep it under control via many different methods like...doctor recommendatations such as radiation implants, stricter diet protocals, those big ole crazy mushrooms that you grow and then drink in a tea - Gombocha.. I think. In the beginning of '02 he was diagnosed as having bone cancer, so the cancer had progressed significantly. He was given a year to live. At that point, or somewhat thereafter, he began the Essiac Tea. Throughout that year he had very little pain. We were all so thankful and amazed that his pain levels were so manageable, as bone cancer is supposed to be awfully pain-filled - according to his doctors. Sadly in the middle of that year he left off making and drinking the tea due to his father coming down sick and needing a caretaker. Within 4 months he was diagnosed with brain cancer. (I had never heard that if you leave off taking the Essiac your cancer will progress with a vengence, but that seems to be the case with my Dad too!) He passed in January of '03. I must say that I believe in the power of Essiac tea. I think it caused my Dad to have a much more pain free and liveable life during his last year. I mean he was super active until about 2 months before the end. Please read "Calling of an Angel" by Gary Glum. It's an interesting book that describes the origin of Essiac tea. There are lots of people out there who want to capitalize on Essiac, but they are not doing/selling it the way Rene (the discoverer) would have done it. Never use a tincture. You must use the dried herbs and follow Rene's recipe! Also I believe that this website - http://www.larrywinfield.com/recipe1.htm - is quite informative regarding the actual original prescribed doseage. May God bless you in your search for healing! While reading your post I was immediately taken by your comment stating we should never use a tincture form of Essiac. I have been taking Essiac Extract for a couple of months now and just recently got to wondering about the potency of this type because my cancerous tumor does not seem to be shrinking....rather it seems to be spreading and getting more painful. So I've been trying to find some info on this type of Essiac but without any luck and wondering if you could perhaps explain a bit more about the negative side of it. My mother had lung cancer back in 1995. She was given Essiac tea from Canada as a cure for her cancer. It was only avialble from Canada back then. She prepared it as the direction requestions, where everything had to be sterile. She drank it as the directions told. She was also under a doctors care being trated with chemo, blood transfusions. She did not tell her doctor that she was consuming this tea. I remember sitting with her at one appointment when her doctor said the tumor was shrinking and how amazed he was. We looked at each other and just smiled. We knew it was the tea and not the chemo or tranfusions that was shrinking the tumor. One warning was given to her back then, which to this day I don't understand. If you stop drinking it, the cancer will come back even more fast and furious. She stopped drinking the tea because she thought her life insurance for her kids would be less if she lived any longer. Her cancer progreesed quicker and entered her brain until she passed in the hospital Monday morning Columbus Day. I believe it did help shrink the tumor and would have kept her alive for a normal life span, but think she needed to wean off the tea rather stop it so abrubtly. Essiac Tea: I lost a loved one to Colon cancer... she drank the tea for while but didn't notice any improvement... I am neither recommending nor refuting it's claims. However I wouldn't rely on it just it alone but perhaps include it on a wholistic lifestyle change and approach. In response to questions re essiac tea. You will need a big stainless steel pot. Never use aluminum. Another big pot, can be glass or pyrex or stainless to pour the liquid while straining. A stainless steel strainer. 32ounce amber glass bottles to store your finished product in. You will need 3 for a half batch and 6 for a full batch. The tea is light sensitive so if you can't find amber bottles you need to cover your bottles with aluminum foil. 2. Full recipe- bring 2 gallons of distilled or spring water to a boil. If using half the recipe bring 1 gallon to boil. Stir in herbs replace the lid and boil for 10 minutes. 4.Reheat to almost boiling, anout 10 minutes. Let cool just a little and begin the straining process. Strain as many times as you like. A little herb left in the liquid will not hurt it in any way. Reheat the liquid once again for 2 to 3 minutes only. This will kill any bacteria in the tea that may have entered from the straining process and help keep it from spoiling. 5. Using funnel or glass measuring cup, put your hot liquid into preheated bottles. You can heat the bottles in the oven at 200 degrees-5 or 10 minutes. Do not put caps in the oven! Directions for use: Mix 2 ounces of the tea with 2 ounces of hot water. Distilled or spring. Never heat this formula or the water in a microwave! Take on an empty stomch for better absorbability. Wait 10 to 20 minutes before eating. This herbal tea is non toxic in proper doses. These herbs will stimulate the body to throw off toxins and therefore it is important that you drink plenty of clean spring water and have regular bowel movements. Recommended supplementation 3 to 4 times daily for cancer and other serious ailments, twice a day for chronic and once a day for maintenance and gentle detoxification. Essiac tea (homemade steeped or storebought) is wonderful for fungal infections! I soaked my hands and feet in it for a half hour each, then used an emory board to remove top grunge off entire nail. It was a big job, but then soaked another half hour in fresh hot tea. It never came back, and it had been baaaaddd. I also drank the tea on an empty stomach 3-4 times a day, until the big bottle was used up, just following the directions on the side. This helped get rid of the fungus mouth thrush, like a one-two punch-- inside and outside my body. I had tried for three months of ACV to do a foot soak, and for me at least, nothing happened. The essiac tea helped me to slough off the fungus with the nail emory board, making it almost fall off by itself. And it only took once! Also seems the herbs are sold under other names such as 4 herb formula or sheep sorrel as sold by this website [commercial website deleted] I have found with some good info also. HI U STACEY,,,,,,,,,,, got the address of this Essiac raw herb supplier from BILL HENDERSON'S book, Cancer Free. It is a firm in Mn. that is a second generation supplier. I have been using their product for about 4 months. I cannot vouch for it, but I'm still perking. My cancer problem is a little unique because the standard blood test tells my doctors that I really don't have cancer. That is because I have done tests, Nagalase, Oncoblont and my DNA that reveals when your cancer is in stage I or II. That is the reason most doctors don't know whether to sheet of go blind. They only know what is approved by the FDA after cancer is in stage 3 or 4. Their site is www.acreatorsblessing.com or phone 612-375-9079. We can't find ulmus rubra ( slippery elm) in turkey. Do you know what else can I use instead of this bark? Mullein leaf or Marshmallow root would be the best subs for S.E. My husband was diagnosed with chronic myeloid leukemia, and put on the drug Gleevec. Over the next year, he came down with pneumonia three times. So after doing a little research, I started giving him 5 ounces of essiac tea a day as well as 12,000 mg of vitamin C a day (4 tablets with each meal). It's been three years since he started taking essiac, and he hasn't had pneumonia or even a cold since then. Also he had growths on his saliva gland that completely disappeared without any medical treatment, and his doctor said his leukemia is in remission. Essiac Cure: I had nodular Melanoma on my finger and the doctor wanted to chop my finger off but I told them I wanted to look around first, I put them off for 2 1/2 months while I tried Essiac that I found on the internet and sure enough I still have my finger and the doctor gave me a clean bill of health after I had finished. All of this started back in sept. 2005, It is now 2009 and my finger is in great shape thank you. PS I would recomend essiac to anyone. Essiac Tea removed Skin Tags in 3 months. I purchased Essiac Tea in a 3 pound bulk quantity to use as a detox and to improve my immune system. I purchased in bulk quantity because this was cost effective. I recall that the price at that time including mailing was just under $80.00. I brewed the tea according to the instructions and drank 2 ounces of the tea mixed with 2 ounces of water each day for about 6 months. I wasn't trying to cure anything - just improve my immune system as I was frequently tired. However, after 3 months of faithfully drinking the tea, I noticed that all the skin tags on my neck were totally gone. They had just gradually disappeared. This event took place 4 years ago and the skin tags have not returned. Over the last 4 years I have also done a colon cleanse once or twice a year, and I take an ounce of organic sulfur (MSM) supplement several times a week. I do not eat any processed foods (anything that comes in a box), cook everything from scratch, and go to a restaurant or fast food place possibly once a month. I only drink the Essiac tea from time to time when I remember to brew it. This is not very often, possibly a total of 30 days a year. At the time that the skin tags disappeared, I was not taking any other supplements. I attribute the disappearance of the skin tags to the Essiac tea. I do not know if the colon cleanses, organic sulfur, and my new eating habits contribute to the skin tags not returning. The organic sulfur is believed to detox your system and to have anti-viral qualities.